Our physicians, nurses, laboratory and front office staff provide our patients with the optimum in hematology and oncology care. We are proud of our board certification. This qualifies us to care for those common and more rare blood diseases as well as provide progressive and compassionate treatment for cancer and related tumors. A graduate with a B.S degree from Gettysburg College and a M.A. degree in Molecular Biology from Temple University, Dr. Tracy DeGreen earned his medical degree from the Philadelphia College of Osteopathic Medicine. 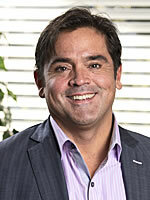 He served as Chief Intern at Mount Sinai Medical Center in Miami Beach. He completed his residency in Internal Medicine and also his fellowship in hematology and oncology at Penn State Milton Hershey Medical Center. Dr. DeGreen has a special interest in breast cancer. Dr. DeGreen, his wife Melinda, and his daughter live on a small farm in Millersville, PA. He is proud and pleased to be joining his father in practice at Lancaster Cancer Center. Dr. Tracy DeGreen says, Taking the time needed to educate a patient and a patient’s loved ones is a priority. Doing so is what the patient deserves. The History of Caring continues. Dr. Dumasia is enthusiastically coming to Lancaster from Toms River, New Jersey. 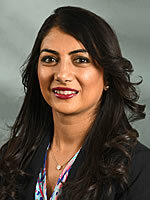 She was a scholarship student at NYU, attended Saba University School of Medicine, and completed her Internal Medicine residency at Hahnemann University School of Medicine and St. Joseph Mercy Hospital in Ypsilanti, Michigan. She served her fellowship in hematology/oncology at Providence Hospital and the University of Michigan Hospitals in Ann Arbor, Michigan. Her list of accomplishments is lengthy, but, most importantly, she is looking forward to serving patients in Lancaster County. 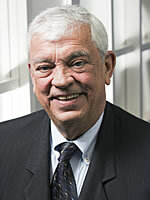 Dr. DeGreen graduated from Ohio State University College of Medicine in 1972. He did his post graduate training in Internal Medicine and Hematology and Oncology at Tripler Army Medical Center, Hawaii, Walter Reed Army Medical Center, Washington, D.C. and Letterman Army Medical Center in San Francisco. At Letterman he was the Director of Oncology Services and on the teaching staff at the University of California from 1978-1980. He moved to Lancaster in 1980 with his wife, Charlotte, and their three sons and also served on the teaching staff at Penn State Hershey Medical Center. He is a strong patient advocate who is both experienced and compassionate in his dealings with patients and their families.